Information Overload Myth - Automotive Inventory Photographer | CarData Inc. There is no such thing as information overload when it comes to businesses giving browsers information on products. This includes automotive dealers and how they merchandise their inventory. All vehicles should have multiple photos showing all angles and added-on or “differentiating” equipment. 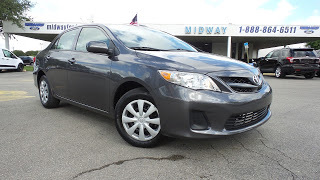 A 2016 Toyota Corolla LE is a different car than a 2016 Toyota Corolla LE with Premium Package. Does your photographer or vendor know the difference? Are you making sure the customer knows why 2 cars that look the same have a $3,500 price difference? The LE Package ($19,500) adds 16-in steel wheels with plastic covers, keyless entry, cruise control, a 6.1-in touchscreen interface, a rearview camera, automatic climate control and a 6-speaker audio system with Bluetooth audio. LE models also feature a standard CVT automatic. The LE Premium Package ($23,000) tacks on 16-in alloy wheels and fog lights plus SofTex faux-leather upholstery, heated front seats, a power driver’s seat, keyless access with push-button starting, a power sunroof, a navigation system and Toyota’s Entune mobile-app-suite integration. Photos are a must, if you do not have photos of your vehicles online you will not get any calls or action on it. It’s a natural consumer behavior to not click on & avoid anything online without a photo. People won’t buy or click on an item that costs $10 online, why would they click on an item that costs $20,000? With that being said it’s expected to have photos, but you can now separate yourself from local dealers by offering an ACTUAL video of the vehicles you have for sale. The same concept of showing all the features of the car exist in a video the same as they do in photos except with videos you can post to YouTube, FaceBook & other sites to pull customers in the door & engage them. We say “REAL” because to many times dealers get caught up in the day to day operations of buying & selling vehicles and forget that each car is a snowflake and should be treated as such. You MUST have a real person who knows the vehicle writing your comments, this will ensure everything is properly merchandised and explained to your internet browsers. If you fail to do this there will be miscommunication, errors and frustrated browsers. It’s simple, I know. I didn’t point out anything groundbreaking but the execution of all 3 of these things on BOTH your NEW & USED inventory is where the money can be made.